Welcome to the Satellites website. In this site, you can learn everything you ever wanted to know about satellites. 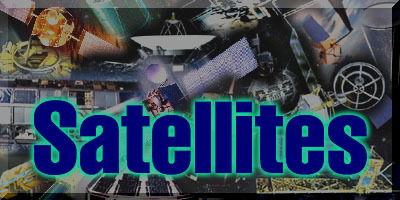 Click on "Types and Uses" to find out about different types of satellites, and examples of each. In "Anatomy of a Satellite" you can learn about the parts of a satellite. "Canadian Satellite Q&A" will answer all your questions about what satellites mean to Canada, and tell you about the history of Canada's involvement in space. Be sure to check out "You Be the Engineer". This is your chance to be creative and design your own satellite, with the help of Engineer Susan. The "Glossary" is like an index to the site. The definitions link to the place where you can find more information on that subject. Have a great time, and be sure to explore! Last updated on: 8 August 1997.